Popular since the dawn of jewelry, diamond cluster earrings and diamond cluster pendants provide some serious sparkle. 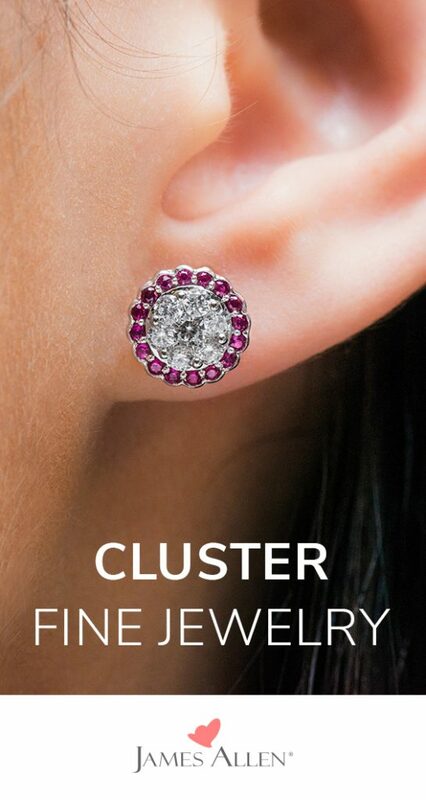 Why go for simple luster when you can choose cluster? Cluster diamond jewelry pieces feature one stone surrounded by similarly sized gems. A breathtaking amount of light reflection ensues. You can opt to keep it classic or surround your diamond cluster with an additional halo of gemstones. 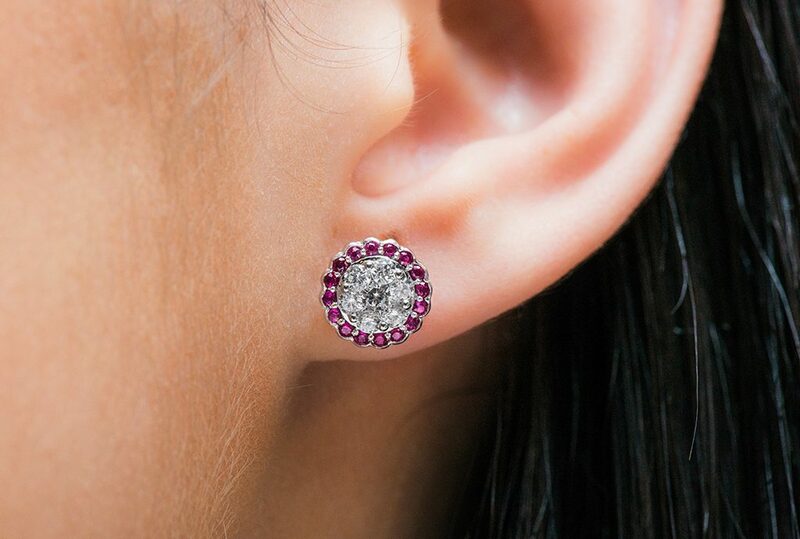 Ruby slippers, step aside: there’s no place like wherever these ruby halo earrings are shining. This bold statement-making pair is perfect for a night out. Both modern and elegant, these cluster earrings feature five diamond-accented petals. The milgrain detailing in the cluster also softens its overall appearance. Like the feminine flower after which they are named, these cluster diamond studs fan out into a beautiful and dramatic shape. Reminiscent of the 1920s style of art, this necklace is a gorgeous throwback. Stay classy with vintage yellow gold and a simple geometric pattern. Even the bail of this pendant is encrusted in diamonds, a detail that complements the sweet sapphires’ halo of color. Time to put the petal to the metal! These floral diamond studs are a spectacular array of brilliance. Lusting for clusters? Explore Cluster Diamond Jewelry and check out our Diamond Cluster Engagement Ring guide.